Since the focus of this blog is for athletes and those who want to look and feel like one, it is time to look at a very important performance nutrition habit - post-workout nutrition. If you are not doing this, you are shooting yourself in the foot. In week 15 of the of the 52 Weeks to Better Nutrition and a New You series, it is time to nail down the habit of proper post-training/game/practice nutrition. Let's get started. While the topic of recovery nutrition is not new, I still see trainees and athletes fail to apply this simple and effective habit. I'll see people go through a hard training session and then immediately go hang out and shoot hoops for hours without having anything to eat or drink. Athletes will often play a hard-intense game and then go off to hang out with friends or watch the next game with no thought to recovery nutrition. 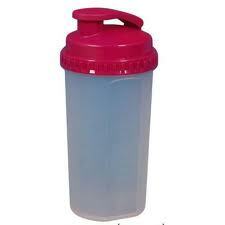 This can be milk (if tolerated) or a protein powder (whey, milk protein isolate, rice, pea and/or hemp). Shoot for about 25-50g of protein (e.g. 1-2 scoops of protein powder). 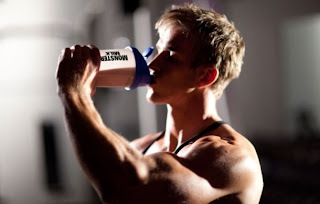 Note: athletes who play a sport that is drug tested should use a low-risk protein powder (e.g. basic whey protein from Costco) or better yet a protein powder that is NSF certified - click HERE for more details. Yes, whole food options (e.g. chicken breast, cottage cheese) can work here. However they are not as convenient and not as palatable after a hard training session. They digest slower and this may slow down recovery. Also, you really need fluids at this time, so be sure to drink extra if you use whole foods at this time. Commercial sport drinks will work here. However, they are not the cheapest or healthiest option. Personally, I prefer to not to consume chemicals like blue #4. If you want a carb powder, here is a trick I learned from Charles Poliquin: go to the wine-making section of the store and buy dextrose (a simple corn sugar). I have also ordered maltodextrin online from a bulk baked goods site. These products are cheap - unless they are sold as a "carb supplement". Even healthier alternatives are to eat bananas or dried fruit with your protein drink. Research shows that you want a mix of glucose and fructose - which these fruits have. They are high in natural sugar, but also antioxidants, vitamins, minerals and potassium. Once you have selected your protein levels, use an amount of carbs that gets you having a 1:2 to 1:4 ratio of protein-to-carbs. Strength/power athletes will often be best at the lower end of 1:2 while endurance athletes may go more the 1:4 range. Adding glutamine and BCAA's to your recovery drink may offer some additional recovery and immune system benefits However, these are expensive and the cost-benefit ratio is not amazing. I would recommend these to a professional athlete, but not a university athlete. Also note that whey protein is high in these amino acids already. If you are using creatine monohydrate, this is a great place to add it. Electrolytes (e.g. sodium, potassium) are often added to commercial sport drinks. However potassium is easily attained through fruits and vegetables (which you should be eating a lot of already). Sodium is very important to get if you are training hard and sweating lots. The easiest, healthiest way to do this is to add a pinch or two of sea salt to your recovery drink if you will be sweating a lot. Leanness: the leaner your are, the more carbs you can eat. Those who struggle to keep body fat down should use the lower end of carbs and may need to go even lower. Type of training: this is super important. For example a pole vaulter in practice and competition will minimally impact glycogen (stored sugar levels) compared to a mixed sport athlete (e.g. soccer player) or endurance sport athlete who will significantly deplete glycogen stores and thus need way more carbs post-training/competition. 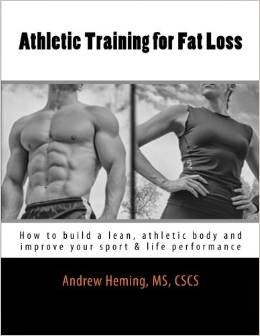 Training level: if you are just getting started with strength training, you will not have the strength or skill to push your body hard and significantly deplete glycogen. Therefore, back down. Important note: recovery nutrition is not a licence to pig out on junk food. You are what you eat and eating junk food is not helpful for your health, performance or body composition! I base my recovery meal on how soon I will be eating my next whole-food meal. Ideally, I like to have a small protein shake (plain whey isolate in water) with creatine monohydrate (if I'm using it at the time). 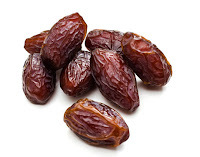 For carbs I use organic raisins or dates. Then, I follow this up with a large meal (e.g. 1-2 chicken breasts, 1 cup broccoli, 2-3 baked potatoes). If it is a crazy time of year and I will not have time to sit down and eat the meal, I go for a meal that has both fast and slow digesting carbs and protein. In this case I will immediately have the protein shake, change and then eat a chicken breast and my post-training oatmeal (big bowl of oatmeal with organic raisins, dates and chopped walnuts) while getting back to training athletes. Due to a milk intolerance, I have not had dairy in my diet since I was 13. Therefore, I cannot personally testify to the pros or cons of chocolate milk. However, in the last decade, there has been a lot of research around the topic of chocolate milk. The general conciseness is that it works well as a recovery drink. Most of the research is done comparing it to carb-only sport drinks (which it obviously out-performs because protein is very important at this time). However it is important to note that research is directed by funding. 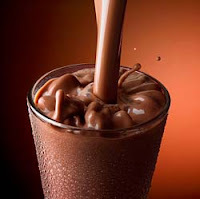 The dairy industry has lots of money to put into funding studies and promoting chocolate milk as a recovery beverage. There is a lot of controversy surrounding drinking milk in general and how milk is pasteurized Some think it is great while others won't touch it. The bottom line - it is not the best option and definitely not for everyone. Go to the store or order online the necessary ingredients to make your recovery drink. Then look at your weekly schedule. Each time you are doing something physically intense (e.g. training, sport practice, games) plan ahead to bring your recovery drink ingredients with you and consume immediately after. The easiest way to do this is to also get a shaker cup. Fill with water and have a container for protein powder and your carb of choice to go with this.